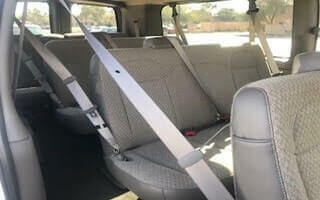 Looking to rent a 15 passenger van in Arizona? You’ve Come To The Right Place! anywhere else! Our Vans are equipped with the latest technology and free WIFI to keep you connected while you’re on the go! . The best part is it’s only going to cost you $99.95/day (plus tax). Opt for a free quote online right now or pick up the phone and get in touch with one of our customer service agents to get all of your queries answered. Looking to travel for a sports match with your team? The whole team can fit into one van and travel with ease. It’s not a team if it doesn’t stay together! 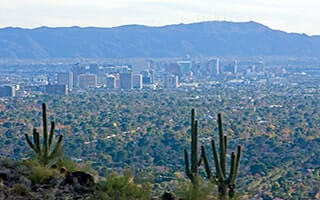 Want to witness the beauty that Arizona has to offer? Be it Tucson, Sedona or The Grand Canyon. You can bring the whole crew along and explore the beautiful Sonoran Desert together in one of our 15 passenger vans. Want to take mission trips? 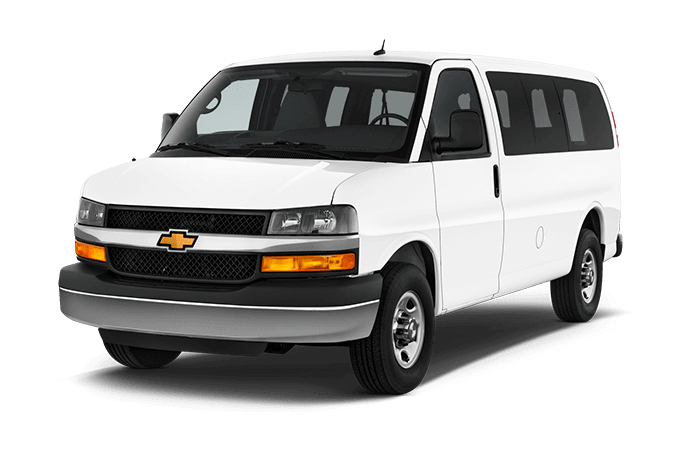 We make it easy for you with our 15-passenger vans. Are you part of a club? Whether you’re part of a social club,a wine club, a dance club or any other club – bring the entire club along for a trip in one of our 15 passenger vans that you won’t forget! Love to travel with your family? Our 15-passenger vans will easily accommodate your entire family for a fun filled trip to any of your favorite destinations! The best part is that you can use our WiFi facility to post updates about your fun-filled trip. Working on a construction project? Construction teams can take benefit of our fleet while they travel in comfort along with their construction gear. On top of that, we have vans equipped with tow hitches to pull your trailer and make the job easier for you! Carl Van Rental’s specialty is that all our vans are 15 passenger vans. This means extra space and comfort is a given for each and every rental. We prioritize customer safety and satisfaction over everything else. Our entire fleet conforms with all quality and safety standards and undergo continuous maintenance. We also understand the importance of staying connected – so whether you want to check your important e-mails or stay in touch with the people back home, our free WiFi service will come in handy! Nothing motivates us like satisfied customers and that is what we have based our business around. Our prices are competitive and will never put a dent in your wallet – rest assured, we don’t compromise on quality! Our team works effortlessly to provide you with a fleet that is dependable, safe and clean. Every client of ours is provided with great customer service tailored according to their individual needs. We believe in fairness and transparency because we value our relationship with our customers. 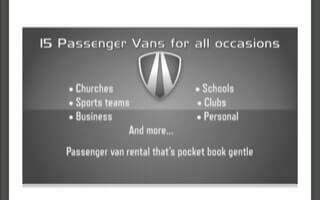 Passenger Van Rental that’s pocket book gentle! We don’t ever want you to feel like you’re paying extra so we offer you the best rates to begin with! Clean, comfortable, and very flexible – we had to extend our reservation by ~12 hours and not only were they good with it, they then continued to give us a ride in their personal car to the airport to catch a flight. The service you get with Carl Van is unbelievably good – walking off the plane to a van waiting in short term parking is so much better than waiting for a shuttle to drive me to a off-site building where I will wait again to get keys. Carl Van saves me 30 minutes to an hour every time I come to Arizona. Overall fantastic experience and I would recommend Carl Van Rental. I would use them again. I’ve actually already verbally recommend this place to co-workers and friends alike. These guys have a great attitude and nice vans for large groups – Ask for Carl.